We've got news for you—natural makeup doesn't mean a lower wow factor. Our April Look is both bold and all-natural, proving once and for all that green can be gorgeous. Apply a small amount KOH GEN DO Maifanshi Moisture Foundation to the back of your hand to warm it up, then dot a small amount directly onto your face. Since skin to skin application creates the dewiest, most natural-looking finish, we recommend using your fingers to gently press in the formula. To warm up the face, reach for Wander Beauty Carryon Lip and Cheek Gel in Pink City and gently tap the formula onto cheekbones. The warmth from your hands melts away the appearance of makeup and yields a fresh, no-makeup look. For extra impact apply RMS's Living Luminizer to the high points of your cheeks, creating a luminous finish. Start with RMS Eye Polish in Magnetic. Apply a small amount with your fingers, blending the pigment over your entire lid. Then, reach for RMS Eye Polish in Imagine, layering over your lids until you achieve your desired hue. To add a bold element to the look, we chose a subtle yet deep berry gloss—KJAER WEIS Lip Tint in Passionate. You can use a brush to put it on, or apply directly to the lips with your fingers. To add polish to your look, finish with a strong accent. Trim and file nails into a short, oval shape, then apply a light base coat. Next, apply two coats of Smith & Cult's Dark Like Me Nail Lacquer. To get the most from your mani, finish with a top coat. Let each application dry two minutes before adding the next. To give skin a healthy sheen, apply the Better Skin Mirakle Cream to arms, collarbones, and anywhere else you wish to highlight. 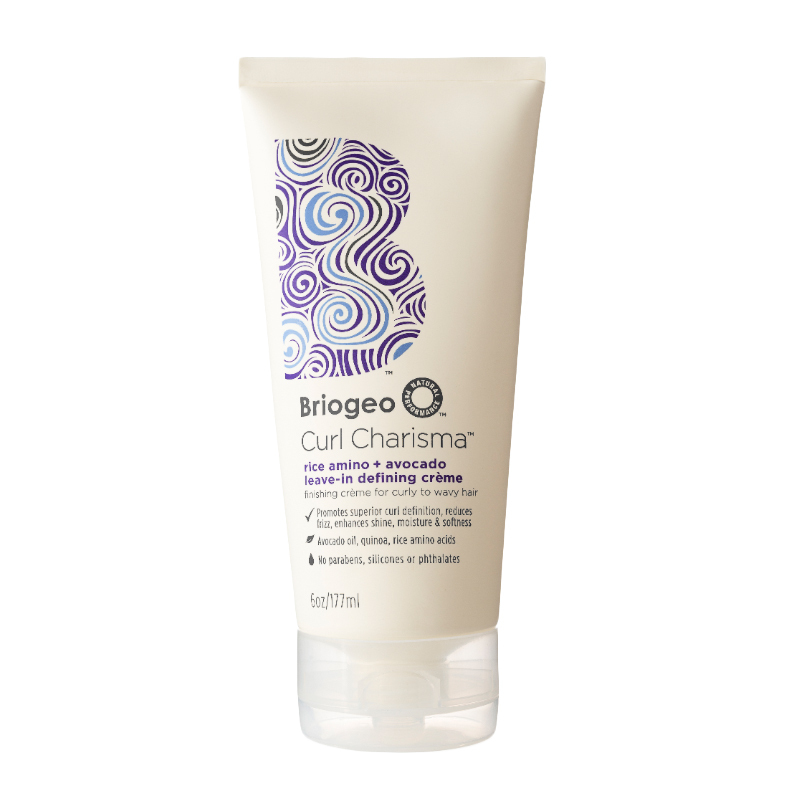 To bring out any natural curl, apply 1-2 quarter sized dollops of Briogeo’s Curl Charisma Rice Amino + Avocado Leave-In Defining Crème to damp hair, distributing evenly from root to tip. Air dry or diffuse-dry your curls.